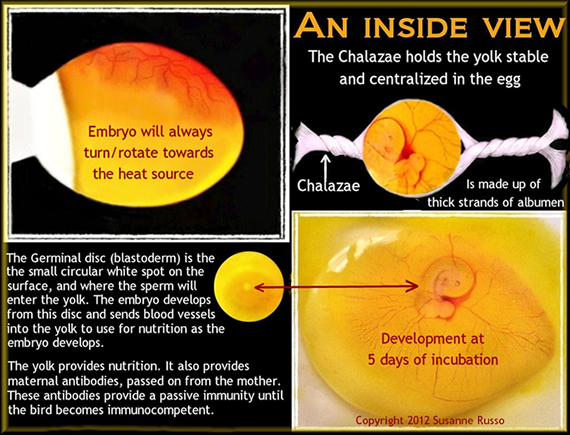 An egg can be fertilized 24 hours before actual egg laying. 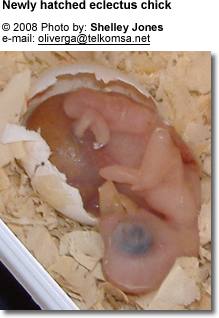 Eggs remain viable for 10 days after they have been laid before losing viability. 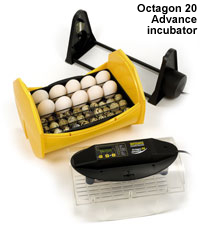 It is best to start incubating eggs as close to laying as possible. 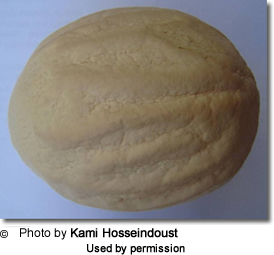 Storing Eggs for Maximum Hatchability: The correct way of storing fertilized eggs before incubation begins. 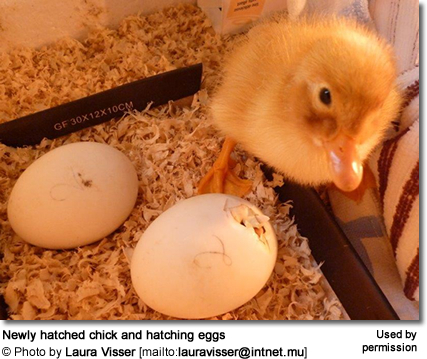 Information on Housing Chicks, Temperature Requirements, etc. Don't have time to be the only caretaker of chicks? "Co-parenting" is an option. We have a pair of cockatiels who only eat seed mix, they have never taken to any additional foods, cooked or raw. They have recently mated, and have laid 4 eggs. They seem amazing and have taken it in turns to sit on the eggs. They have become protective and look to be doing the right thing. We did not intend in breeding them but as they were showing signs of wanting to we wanted to give them the opportunity at a natural life as possible so added a nest box to see what would happen. My question is this. As they only eat a seed mix and mainly small seed, what should I provide for them to feed the chicks? Will they accept cooked or raw veg etc once the chicks are here as they are still ignoring what I am offering. I've tried porridge, egg, mashed bananas, cooked and raw veg. I have read that baby food is acceptable but wanted advice. Is there other foods I should put in thats suitable for the chicks? I do not want to hand feed I want to give mum and dad the chance. Once the chicks arrive, the parents will be going through an aweful lot of food - and they will typically gladly accept food items that they would not ordinarily touch. Boiled eggs (smashed down with a fork WITH EGG SHELL) are favorites as are sprouted seeds, millet spray, high protein foods are important to support the chicks' rapid growth. Hi, The couple of cocktail already hatches 5 chicks. One of the small died las days. And another is very small than others. And also the male cocktail looks very weak despite of the female that look very strong, so what can I do? Right now the chicks are 10 days old.